You are here: Home / Search for "vmware nsx"
Today’s Priority Queue episode is a sponsored conversation with VMware about NSX and container networking. Our guest is Sai Chaitanya. 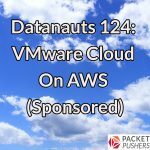 Today’s show, sponsored by VMware, is a different take on NSX. We talk with West Bend Mutual Insurance about risk management, protecting assets, and how IT can develop a business case for adopting a new technology. 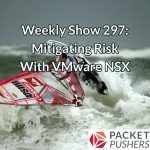 On today’s show, sponsored by VMware, we talk to a VMware NSX customer to get their real-life experiences with the technology. And just to make it more interesting, this customer also uses Cisco ACI, which we’ll get into. 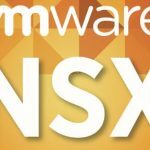 VMware’s Guido Appenzeller joins Ethan and Greg on this sponsored Priority Queue podcast to talk about NSX’s capabilities beyond the data center, including containers, the cloud, mobile devices, and more. 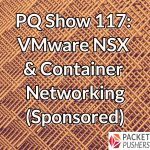 This sponsored Priority Queue looks at the realities of using NSX in production, discusses practical customer use cases for network virtualization, and examines issues raised by listeners about NSX. Deep diving on VMware NSX ? You bet. 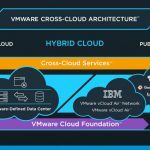 Download the PDF file and read along with us as we unpack how VMware NSX works with Brad Hedlund and Scott Lowe. 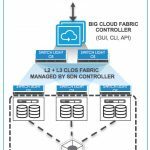 Network Virtualization is the certainly the biggest architecture shift in our careers and probably yours. And make no mistake, this is about networking. Greg Ferro often says that overlays are about more networking, better networking (not less networking) – and we couldn’t agree more. 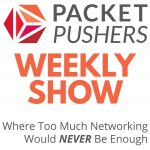 On today’s sponsored Weekly Show, we look at the role of VMware NSX in bringing networking, automation, and security to applications on premises and in the cloud. 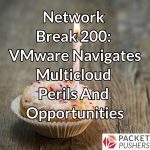 Today’s Network Break analyzes key product announcements and news from VMware’s VMworld 2018 conference, including vSphere Platinum, Amazon RDS on premises, and VMware’s strategy to win in a multicloud world. 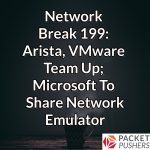 On today’s Network Break, Arista and VMware integrate CloudVision and NSX, Microsoft pledges to open-source a network emulator, TLS 1.3 gets final approval, and more tech news analysis. And stay tuned after the news for a Coffee Talk with Silver Peak customer Blue Shield of California. 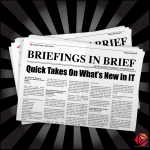 VMware pivots to security via NSX, Cisco embraces software as the company evolves, NetApp launches a private cloud architecture and more tech news analysis on this week’s Network Break podcast with guest Ed Horley.